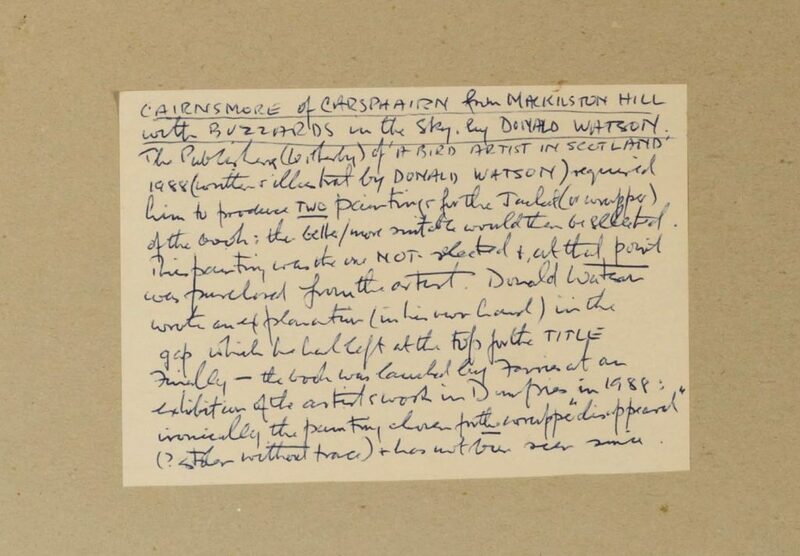 Donald Watson (1918-2005) was a well-respected Scottish ornithologist, author and painter. A collection of his works were catalogued by Project Reveal, exposing the story of a mysterious disappearance. This week, Project Reveal Team East started work at the off-site storage facility for the Trust, taking inventory of the painting store. 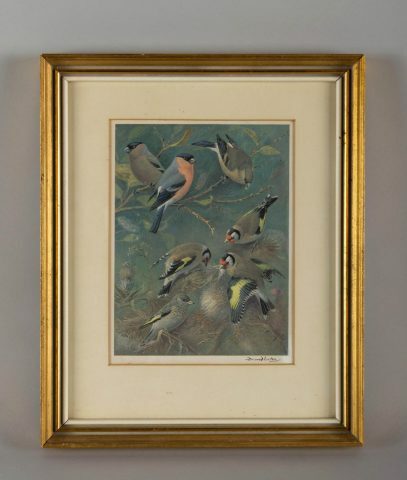 Of particular interest was a collection of 17 original paintings by Donald Watson (1918-2005), a pioneer of Scottish ornithology and illustrator of over 30 books including The Oxford Book of Birds. Born in Surrey, Watson moved to Edinburgh and subsequently became a founding member of the Scottish Ornithologists’ Club in 1936. He then attended Oxford University before serving in the army in India and Burma (now Myanmar). Returning to Edinburgh, he held his first solo exhibition in 1949 before moving to Galloway, where he was a bird recorder for 30 years. After his death in 2005, the Scottish Ornithologists’ Club opened the Donald Watson Art Gallery in Aberlady, an exhibition space for wildlife art. 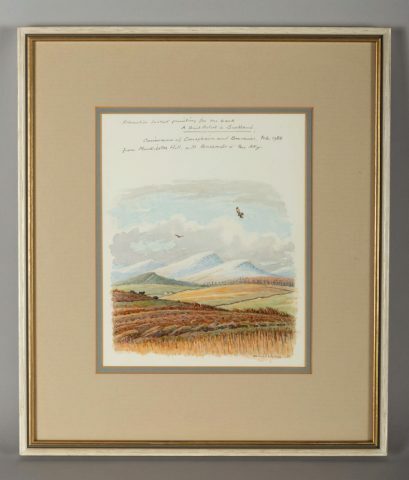 The collection of Watson’s artworks at the Trust includes original watercolours and pen and wash drawings, as well as a few plates from his illustrations for books like Birds of Moor and Mountain (1972). One artwork is a signed proof of his painting of a bullfinch and goldfinch reproduced on page 183 of The Oxford Book of Birds in 1964. 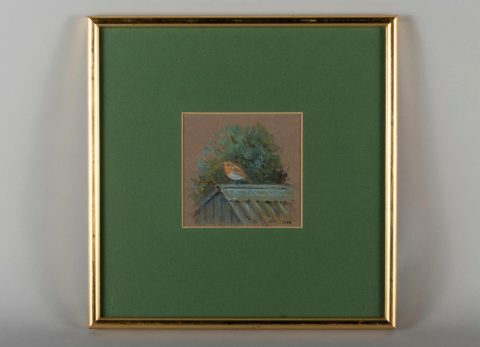 Another work is of a robin sitting on the garage roof of Watson’s home in Dalry. One of the more intriguing aspects of Project Reveal is discovering the stories behind the objects, sometimes literally. For example, one of the paintings we inventoried was an alternative cover image for Watson’s book A Bird Artist in Scotland (1988). This article is by Project Reveal Team East. Project Reveal is a multi-site digitization project of unprecendented scale. With your support, we can help the Trust manage its collections more effectively. Most important, we can help the Trust discover, better understand, and share its treasures with the world. Originally published by the National Trust for Scotland on August 2, 2017.